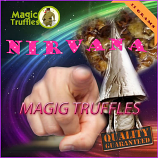 Magic truffles, also called \"Philosopher\'s stones\", \"Nuggets of Wisdom\" and \"Trip Knol\", are actually not real truffles, but sclerotia of Psilocybe mushrooms. Sclerotia are mycelium thickenings growing underground and are part of the fungus, just as the fruiting bodies that appear above the ground. 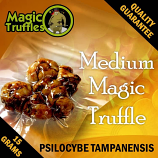 Some Magic Mushroom strains produce in this mycelium Magic Truffles. 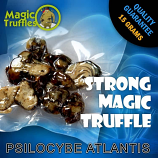 These Magic Truffles are a compact mass of hardened mycelium where the food and water gets stored and can be used when growing conditions are not optimal.There are many different kind of mushrooms that contain psilocybin and psilocin. Only a handful of these shrooms are able to produce the Magic Truffles. The most well-known are: Psilocybe tampanensis, Psilocybe mexicana and Psilocybe Atlantis. 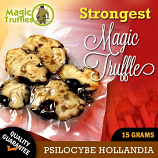 There are several more strong magic truffles in our webshop. 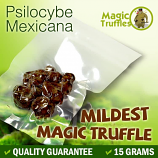 Magic Truffles look almost like the \"normal\" truffle that is well known in the culinary world. 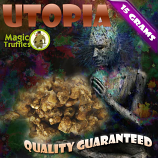 The taste of Magic Truffles is like a Walnut flavor.The effects of the Magic Truffle is the same as Shrooms. There are only a few people who know of the existence of Magic Truffles. When the Shrooms were banned in 2008 in Holland, the law was adjusted so that ( luckily ) the Magic Truffles do not fall under this new law. 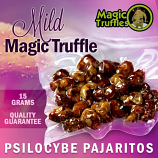 The Magic Truffles have seen a rise in sales and are more popular than ever. 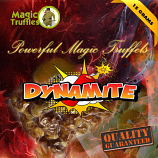 Here you can buy the most potent magic truffles directly from Highstreet Amsterdam Holland. Always fresh sealed and strongest effects.